It is a really nice place to stay. Good location and a lot of public transport nearby. It is quite there so that’s good and comfortable. There are several restaurants nearby and 1 bar . I liked the professional behavior of the property owner,with his excellent and comfortable conditions,so I will repeat hopefully again and again,with a great pleasure with the same owner Mr Mani from Austria ! Mani is a very nice, kind and helpful host. He is willing to help you with every problem you would face like trasportation, food, place...etc. and most important is he will relply you real quick!! 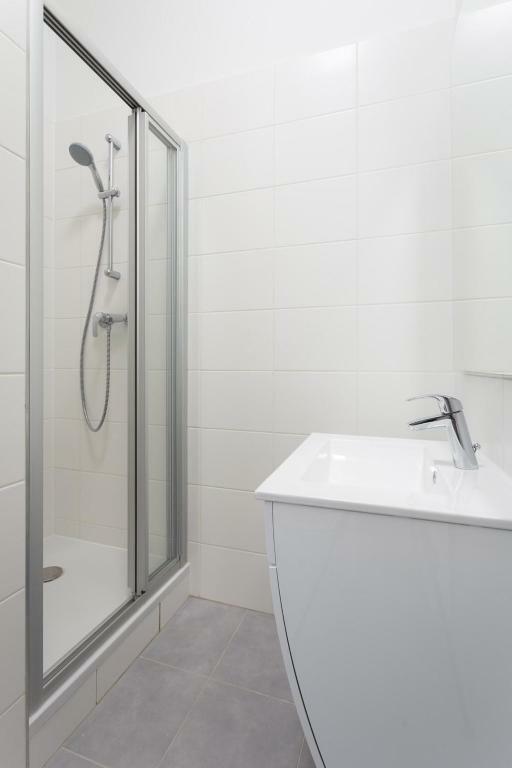 The apartment is very spacious with 2 big bedrooms, 1 bathroom and 1 toilet, clean and easy to access ( S-line: Rennweg and tram line 71). It is good for family and friends and also close to the restaurants and supermarket. Spacious and very clean. Easy public transportation right outside made it really easy to get to the city center. Very quite. Owner was super nice and helpful with the apartment. Very spacious place, big rooms. Friendly host, easey to connect with. It was nice to have both a bathtub and a shower cabin in the bathroom. We lived on Apostelgasse. Very clean, bright and beautiful apartment with everything you need. The bed is comfortable and the street outside is quiet. The center is in walking distance (near 20 minutes), but there is a metro station nearby if you need. Mani is wonderful, hospitable and responsive host! Thank you very much! Will definitely be back! 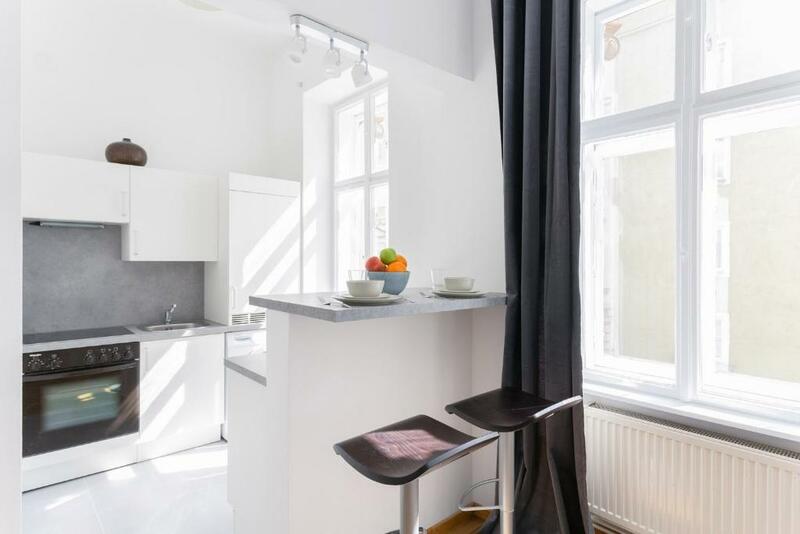 The location was very good: a few minutes walk to Kardinal Nagl Platz U-Bahn and to Landstraßer Hauptstraßer, with buses, trams, and plenty of shopping. 20 minutes interesting walk to Stephansplatz in the city centre. Very comfortable, light, airy, spacious bedsit/studio. Mani was a very welcoming, accommodating, helpful host. We would come back. 20 min by foor from Karlsplaz. Very quite street - 2 min from metro. 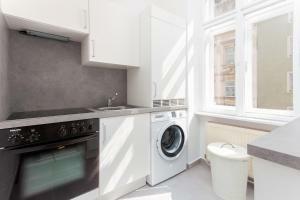 Lovely clean spacious apartment in a quiet area 10 mins walk from the central train station and U-Bahn Line 1. Nice cafés, supermarket and pharmacies just around the corner and a bakery right across the road. We called from the airport to arrange to get the keys and Mani, the host, was very punctual and helpful. Great apartment for a stay in Vienna... completely refurbished, modern and clean. I would highly recommend it to anyone. 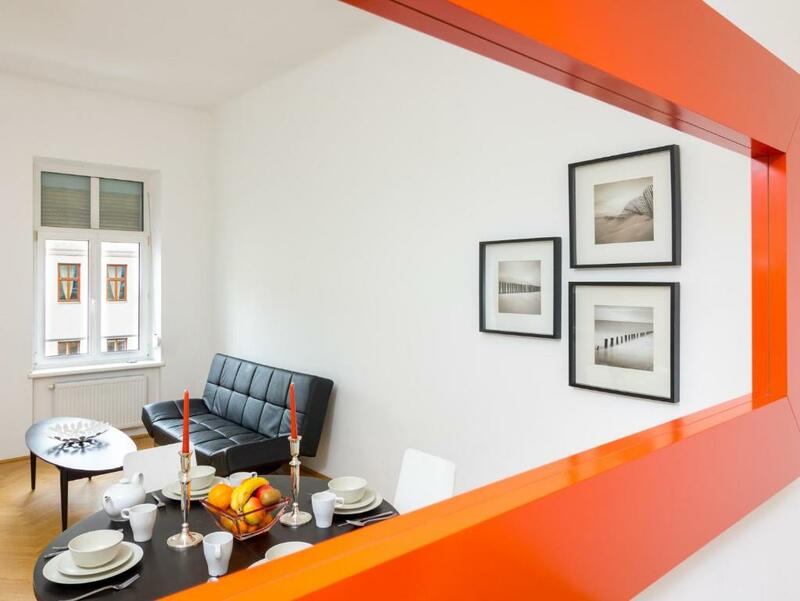 Lock in a great price for Central Vienna-Living – rated 8.6 by recent guests! Central Vienna-Living This rating is a reflection of how the property compares to the industry standard when it comes to price, facilities and services available. It's based on a self-evaluation by the property. Use this rating to help choose your stay! Central Vienna-Living is just a 10-minute walk from Vienna’s city center and the famous St. Stephen’s Cathedral. Modern interior is a characteristic feature of the entire apartment. Wi-Fi is available free of charge. The apartment’s living area doubles up as a bedroom and has oak wood floors. A king-size double bed and designer sofa bed are further features of the room. A high-definition flat-screen TV with cable channels is mounted on the wall. Central Vienna-Living’s fully-equipped kitchen has an electric stove, oven and a small dining area. The bathroom has a shower and towel heater. A range of beach bars and restaurants line the Danube Canal and can be reached on foot in 5 minutes or less. The Hunderwasserhaus can be reached in approximately the same time. The Wiener Prater fairground is a 10-minute walk away. Many shops can be visited at the Graben and Kärtner Street a 10-minute walk away. The number 1 tram stops in front the apartment and goes around the city center, covering many of Vienna’s famous attractions. The MAK, Austria’s Museum for Applied Art, and the Landstraße Metro Stop are a 10-minute walk away. 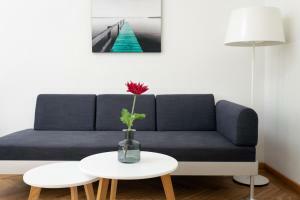 When would you like to stay at Central Vienna-Living? Please note that the maximum occupancy of this apartment is 2 guests (including children). This apartment features a seating area, sofa and tile/marble floor. This apartment has air conditioning, soundproofing and DVD player. House Rules Central Vienna-Living takes special requests – add in the next step! 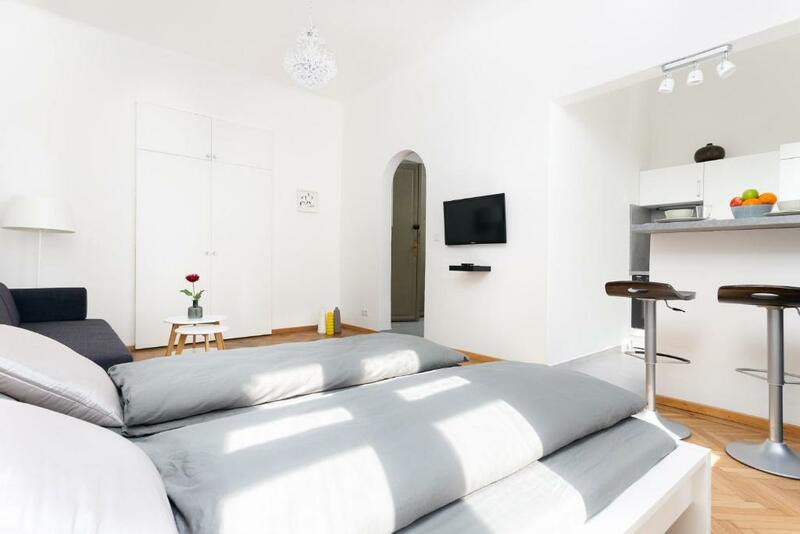 Guests will be contacted by Central Vienna-Living after booking for arranging a bank transfer of the deposit. Guests are kindly requested to inform the hotel in advance of their time of arrival to arrange the key handover. This can be noted in the Special Requests box during booking or by contacting the hotel using the contact details found on the booking confirmation. Please note that the apartments are located in different locations and there is no reception. Please contact the property in advance for check-in arrangements. Please inform Central Vienna-Living of your expected arrival time in advance. You can use the Special Requests box when booking, or contact the property directly using the contact details in your confirmation. Host forgot to prepare toiletpaper and towels but brought them when we asked for it. Noisy from street noise. The kitchen has only the bare essentials. I had two unpleasant surprises : First, an extra 30€ appeared after I confirmed the booking. When the price displayed is not the price you'll pay, you simply cannot compare places. Include your cleaning costs in your advertised price, please! Second surprise : it's not a hotel at all, so what's with the star rating? These things used to mean something. If I rate it for what it is, which is a guy who owns several flats and makes a living of renting them out to tourists, I'd say it's pretty good indeed. 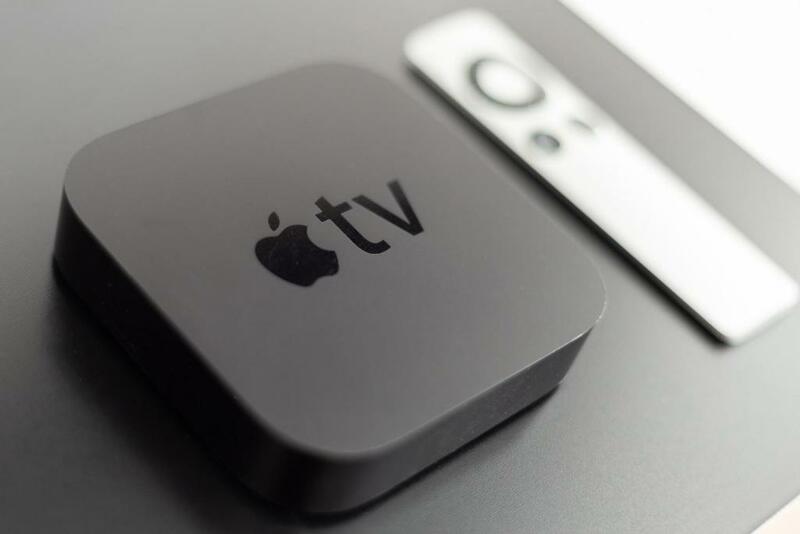 However, if I rate it for what it pretends to be, it's just very poor. 4 stars means proper blinds so you can sleep after sunrise, it means soft towels, it means spotless walls, it means a decent view, it means 24 hour reception, it means you can pay by card, it means you get a receipt, and I could go on for quite some time ! I call that unfair practices, so I did rate it for what it pretends to be. Quite good location, comfy bed, clean place, and friendly host. It would make a good B&B. Great location, wonderful host, fantastic appartment with everything you need to feel at home. Mani was superb. Told us everything we needed to know. Would highly recommend. The twin beds in smaller bedroom were not comfortable for adults . Mani says he will get better mattresses. There were no chairs or surfaces to put things on in bedrooms. We would have liked more towels and reading lights. The host was very helpful and apartment was really nice. would 100% recommend staying here! As I said,every single thing was deeply and professionally very well executed,so I have nothing more to add about the excellent welcome and excellent good bye,even with marvelous patience answering to all kind of our questions !